Hello! Welcome to Taylored Expressions February 2016 Release! All products that we have been peeking this week are now available in the TE store, HERE! Before you head off to shop, I have one last project to show you. I have two final cards for this release. 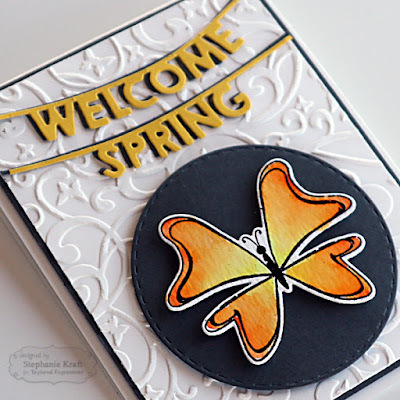 The first one uses the new Welcome Spring banner and Butterfly Swirls Embossing Folder. My focal image butterfly is from the previously released Discover Your Wings. It was watercolored with Zig Clean Color markers. 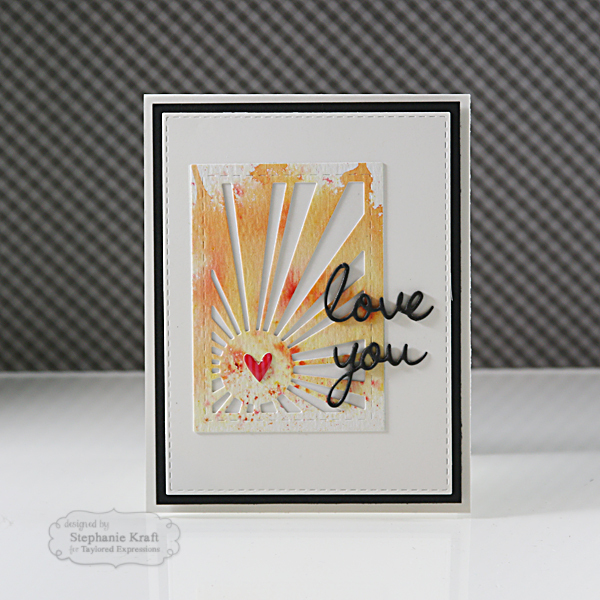 I created a watercolor background with Brush watercolor crystals, then die cut with Picture Perfect - Sunny Days. My sentiment was die cut with Pockets & Pages - February Script out of black Fun Foam. I simply embellished it with a Doodlebug enamel heart. 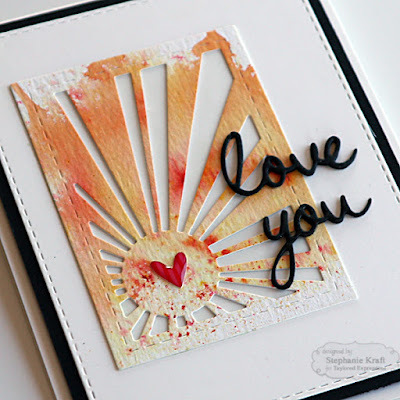 What beautiful cards, Steph...I love the watercoloring on both and how clever to turn the Sunny Days diecut into a love theme!!! Great cards! I just love the little heart on the sun! A lovely pair of cards. 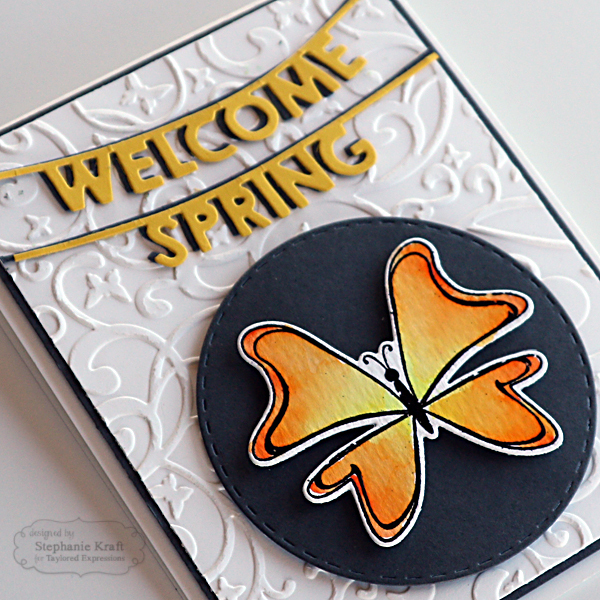 I love your golden butterfly to "welcome spring". And I love your watercoloring and your layout using the sunny days die. Beautiful cards, Stephanie! I love the burst of watercolored sunshine. Absolutely Perfect!